This entry was posted in Industry News, Uncategorized on January 18, 2018 by Deb Baum. Steve Millington has released a fact sheet DS205.02 2017 Area Program Fact Sheet SA with important information relating to the 2017/18 Area Based Contract Program. This entry was posted in Industry News, Uncategorized on March 19, 2017 by Jan Crawford. Below are the links to the Progress Statements of the SAGIT projects being conducted in conjunction with University of Adelaide and SADGA. This entry was posted in Industry News on February 8, 2017 by Jan Crawford. A 3 year project has been successfully approved which will undertake trial plots through field trials with one being located in the Turretfield area in the Lower North and the second in the South East at Bordertown. The trials will compare varieties and breeding lines without crown rot infection and with infection induced by level(s) of crown rot inoculum applied at sowing. The effects of sowing dates and/or seeding rates on disease pressure will also be explored. 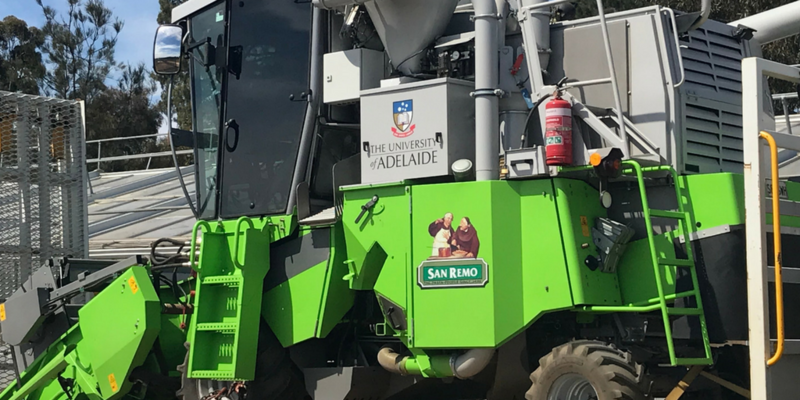 The trials will be sown and managed by Rob Wheeler and his team from SARDI in the north and the South East trial will be sown and managed by the University of Adelaide Durum Breeding program. 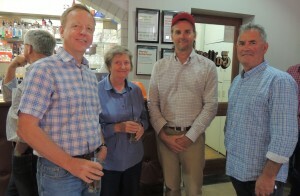 The design and planning of the trials, preparation of inoculum, plot and plant assessments and trial analysis will be made by Marg Evans, Greg Naglis with assistance from Hugh Wallwork (SARDI). Farmers will have the opportunity to view the trials at the annual crop walk field days. The Durum growers are very grateful to SAGIT for the funding that they make available to undertake valuable trials such as this one. 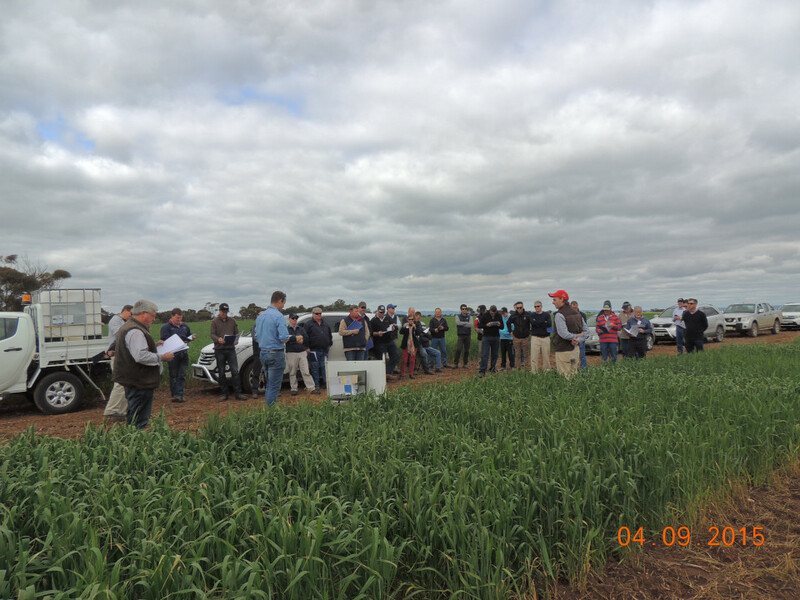 Farmers and industry representatives at the Mid North Crop Walk in September 2015. This entry was posted in Industry News on June 23, 2016 by Jan Crawford. This entry was posted in Industry News on March 12, 2016 by Ann Price.